With year-round sports schedules and a full roster of after-school activities, it’s a wonder that our over-scheduled kids have any time to study at all! But that doesn’t stop schools – and parents – from piling on the pressure as high-schoolers prepare for those ACTs, SATs, and more. 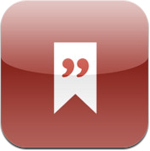 QuotED is a ‘question of the day’ reading and comprehension app that trains your mind to comprehend and analyze, aiding your ability to arrive at the correct answer. Brand new quotations are provided each week day, and varying levels of difficulty make sure the app is tailored to meet your precise needs. Detailed explanations are provided for all questions, and the progressive format strengthens testing proficiency. 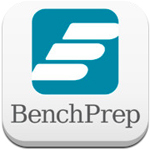 BenchPrep is a ‘gateway app’ that then allows you to purchase test prep applications for your specific learning and test pathway. Academic programs include Algebra, Chemistry, Spanish, Calculus, Biology and Geometry. 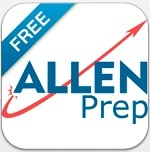 Once you purchase a test prep course, it’s available on all your mobile devices. Full test prep modules are expensive, so make sure the course are right for you before you commit. Another ‘question of the day’ app that gives you constant practice and gets your mind in shape for the big day. Questions are available for English, Math, Science and various languages. SAT Question of the Day features real SAT questions and SAT preparation material. Each question is accompanied by the correct answer and a detailed explanation. Tutor.com To Go is the companion app to Tutor.com, a subscription service which provides students with access to online tutors. 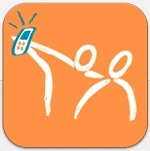 With the app, you can connect with a live tutor for one-on-one help in math, science, social studies and English. Essays, assignments and homework problems can be shared and stored in an online ‘locker.’ Additional resources are available through the SkillCenter Resource Library. 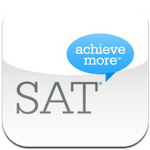 2400 is a perfect SAT score and SAT Prep TestBank 2400! aims to get you there with a series of Q&A apps for all popular ACT and SAT subjects. The adaptive learning technology makes sure you learn at the right level and pace, and the test-taking advice, tips and strategy lessons make sure you are mentally prepared as well. 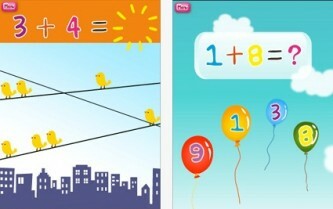 Although the app is free, all the individual modules are available as in-app purchases.